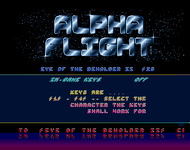 Alpha Flight (sometimes Alpha Flight 1970) is a c64, Amiga, pc and console cracking and demo group. They were formed in Germany in 1985 by Seven Up, Crime, The Damned, Frankie Double Team aka FDT, The Gothicman and Danny - making their first releases in early 1986 on the c64. 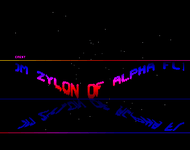 Their Amiga section had a string of subgroups during the 80's, where Vision 1, Zylon and Z-Dream were among the best known. 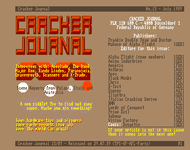 January of 1988 saw the release of Cracker Journal 1, the first regular Amiga diskmagazine. 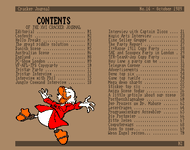 10 More issues followed during 1988, bringing the total for the year to 11. 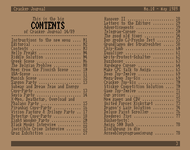 The july release Chamonix Challenge listed Andy, Danse Society, Dr. Mabuse, Frankie Double Team, Ghost Dance Inc., Mike, Music Spreading Crew, Nephilims, Shadow Light, Shut Berlin and The Visitor as members. 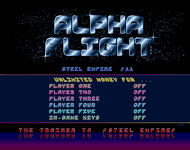 The group coarranged the Alpha Flight and Spy&Mind Party 1988 in Brüssel, Belgium in september. 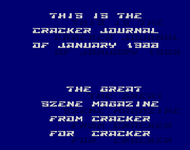 Swapper advert in Cracker Journal 12 (january 1989), pointing to an address in Düsseldorf, Germany. 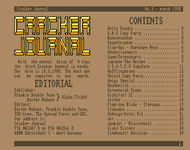 Cracker Journal 13 (march 1989) reported that, "Prophets AG left Alpha Flight." 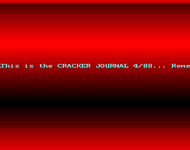 Cracker Journal 14 (may 1989) reported that "Wintex, The Demons and Mindwarp are now members of Alpha Flight." 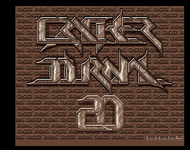 The june release Compacted Disk 173 listed Accomplishment, Aragon, BPS, CCF, Demons, Doctor Mabuse, Frankie Double Team, Genesis, Mindwarp and Wintex as members at that time. 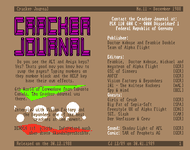 They were co-arrangers of the Alpha Flight, Vision Factory and Powerslaves Copy Party 1989 in Geffen, The Netherlands at the end of july, where they also released Cracker Journal 15 - which in turn reported that Aragon and Wintex left the group. Cracker Journal 16 (october 1989) reported, "Genesis left Alpha Flight and joined Black Monks." 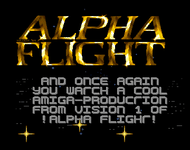 and about the fact that "Vanguard joined Alpha Flight." 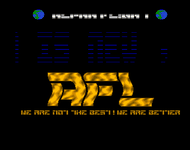 The december release A Little Party Intro by subgroup Paradox, mentioned, "there is no longer a cooperation between us ,alpha flight, and tma ,the magic arts, bcoz they ,tma, had recracked fighting soccer from quartex ,not all members of tma are so lame, beware of the chief of tma bcoz he is a spy from turtlebyte !!!!!" 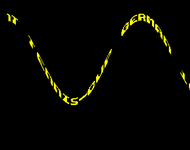 German graphician Dark joined Black Monks late 1989. 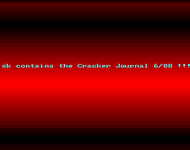 In january 1990, Cracker Journal 18 reported that Demons had left Alpha Flight for System 5, and that "Maniacs joined Alpha Flight." We are not sure what Maniacs is referred to in the last item, probably not the mid-90s .uk one, so we're waiting on linking that up. The adverts section promoted their bbs Motherboard II (718-592-2433). 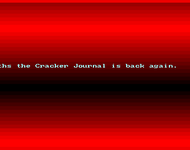 Cracker Journal 19 (march 1990) reported, "Paradox of Alpha Flight joined Oracle. 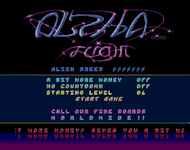 ", that some members of the group joined Tristar, that "Alpha Flight's BBS "Aliens Academy" closed, because housebreakers stole the modem, hard-disk and Golem-Box. 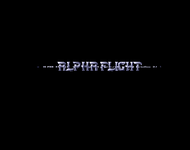 ", that "Apology left Alpha Flight." and finally that "Alpha Flight lost there members in Norway coz they formed a new group called BEAST!" 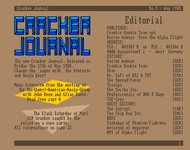 Cracker Journal 20 (may 1990) carried the news that Black, Blackout, The Seeker, Vitex, Zylon (group) and Wookie had all joined the group. Nekron left for Proton around september. Captain Power left, Blackout joined TRSI and Sledge joined Defcon One late in the year. Destroyer and Nike joined Skid Row late 90, but at least Destroyer later returned. 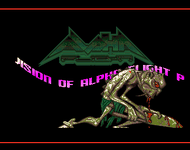 Psychon changed handle to Anvil and joined Black Monks in the middle of 1991. German sysop Destroy (PARADISE) was busted on the 14th of june! Luckily, he had time to format his HD before he let the cops in, so damage was not as hard as it could have been. Following this, there was widespread panic on the German scene, and lots of boards decided to close shop. 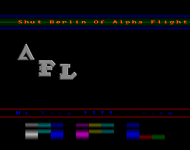 Germans Hajo (trade), TCI (sysop SKARA BRAE), Accu (sysop RIVER SIDE), FDT and Ginger all left to form a new group called Venture late 1991. 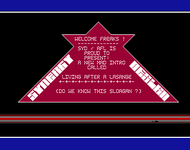 Later also Krypton (sysop CONTROL TOWER opened 09/91) and Gizmo joined. FDT was one of the AFL leaders at the time, and his position was filled by Rator and Sabine. 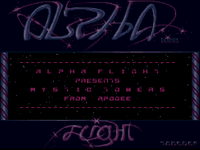 The december 1991 demo Illusions announced Trodac (sysop The Unforgiven) had left Alpha Flight for Aurora. R.A.W 2 (february 1992) reported that Dexter joined Aurora from Alpha Flight. 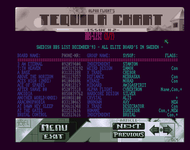 R.A.W 3 (june 1992) reported that Winger and Punisher had both left the scene, that Virus had left for Palace, that Dr. No and Zacae joined Bloodsuckers, that Cardinal joined after being dismissed from Awake, and finally that Magic left for Defjam. 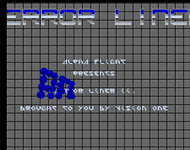 Swedish sysop Dexter then joined Aurora around january 1992. He must have rejoined at a later date. German Headhunter joined The Silents early in the year. Vindex left to join Anthrox and Winger (ex Noxious) was kicked out in september. 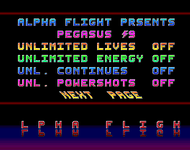 Winger joined Scoopex and did not leave the scene, as stated in R.A.W #3. Mike, Hot and Pha joined around october. Hot and Pha later left again. Salvatore joined from Paranoid around october. 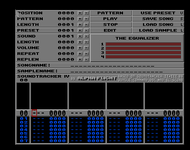 Hank (sysop BLUE THUNDER) left for Illusion. The board BRITISH EMPIRE was busted by the german civil police around january 1993. Roger Rabbit joined Fusion in early 1993. 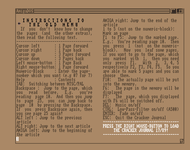 The c64 section was was reborn for real in march of 1993, at the CeBit meeting in Germany. 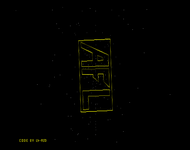 Earlier that year, Airwolf/Success released a few cracks under the AFL'70 name as a joke. Their old leader Mario took back the reins. Rough was a member for approximately two months. Avalanche joined from T'Pau in may. Icarus joined from Red Sector in may, only to leave the scene a few days later. German musician SMT left for Infect in may. In may, the group had a staggering 82 members (duos counted as one)! Among these were no less than 4 female members in Germany. Link was kicked out of the group in august, after he supplied the group with the original of "Rings'n'up" which proved to be a rerelease and not a new game. German phreaker Case joined, also in august. Stephen (ex Triumwyrat, new early93) left for Epic in september, and started cracking again. Natas got kicked in october, when they also told that rumours that Sting had returned to the scene were false. Speedlock left in october. Finnish sysop Kristen (SEARCH SAVAGE) left for Decnite in november. 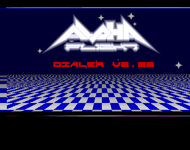 Around the middle of 1994, Ancient Mariner (sysop of their c64 whq The Evil Island) joined Chromance, but they were soon reinforced with the old Arcade board HOLIDAY IN CAMBODIA. They alse recruited their new EHQ ESCAPADE from Excess around this time. 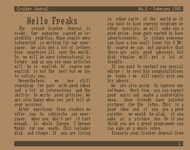 German graphician RRR decided to end his double membership, and be in Oxyron only. German Ramirez left for Talent. In september Peacemaker, Racoon, Vortex and Curlin all joined from Motiv8. In addition that month, dutch swapper Spectator left for SCS-TRC, Supreme renamed back to Skinhead, and Ancient Mariner returned from his stay in Chromance with his bbs. Mutant-X joined around december. 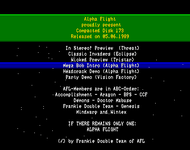 On the c64 side, American Mutant-X was kicked out again after a very brief stay around january of 1995. 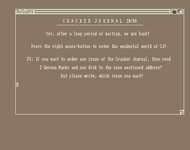 Cracker and swapper Blaze joined from Xenon (by way of a very brief membership in Chromance) around september. He will stay in Galicya as his second group. Max and Marc were both forced to reduce their activities, due to new educational duties. This means Styx is now the new co-leader together with Marc. Chotaire's board THE PIRATE ISLAND got formatted, and will not go online again. Chotaire sold his bbs equipment. 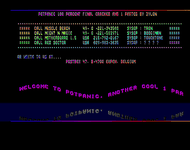 Pol Pot's bbs Holiday Inn Cambodia was down as the sysop was working on his own modified version of the C*Base bbs softrware. Ancient Mariner is about to reopen his bbs too, after his accident a while back. Skinhead is set to join the army in october, in which time Ignorance will take over the role as main cracker. The board Datastorm went offline in june. A late july 1995 nfo that came with a cracked tool listed Sabine, Ultra, Rebel MC, Dio & Cat (seniors), Rainer, Frank, Blizzy (couriers), Dr. Solution, Sultan, Schlappi, Wildgans, Dexter and Green Baret (crew) and finally the sysops King of Zombies (Main Source), Wild van Damme (Darkland), Dexter (Total Disaster), Wacko (Diplomatic Immunity), Funky (Crash II), Cpt. Hirni (Cyberspace Cafe), Shot Glass (Southern Comfort), Adren (Sinistry) and Insane (Total Insanity) - as members of the pc section at that time. 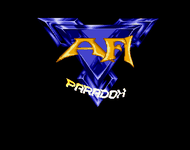 Former leader Skid Row returned to the group and the scene in 1996, Archangel/Vermes joined to form a new Polish section, Flash (code gfx) joined and finally Rick/ex Paramount returned to the scene and will serve as a swapper - all around january. 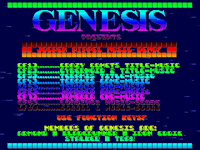 The demo Getöse by Rayden was planned for release at The Party 96 in december, but they missed the deadline and was unable to participate in the competition. 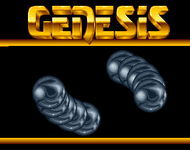 The end of january 1997 finally saw the release of Getöse. Calypso left late in the year, and is now probably only in Amnesia. Chotaire returned to active membership around november-december! Englishman Derbyshire Ram also joined the group from F4CG around this time. He decided to keep his double membership in Remember. 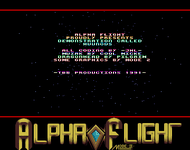 The Alpha Flight 1970 Facebook page was opened on Thursday, 23 June 2011. 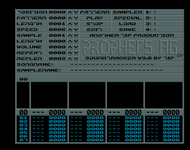 The group made something of a c64 comeback in april 2012, with the crack of Market Forces. The comeback was confirmed in the news section of the june diskmagazine Vandalism News 59, where Secret Man was quoted as saying "I'm back after a break of three years." The news article also mentioned Troublemaker had recently joined, but would also stay in Crypt as a double member.